Sivana Bali is an exclusive luxury Drug Rehab Centre offering a full complement of medical and addiction recovery services. We offer highly personalized, affordable addiction treatment. 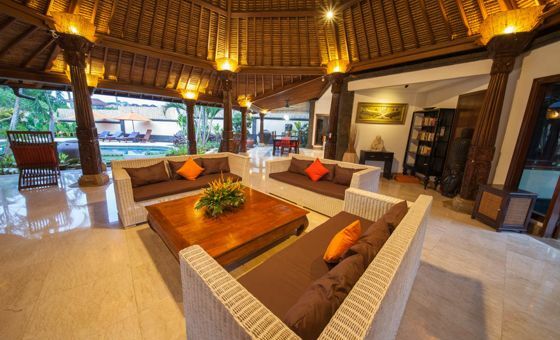 Located in beautiful Canggu our luxury drug rehab centre provides ultimate comfort with standards of service you would expect from a world-class resort. Our international team of certified addiction rehabilitation professionals assists clients in rediscovering joy and serenity. Addiction recovery programs are not traditionally synonymous with joy & laughter. With our unique approach to addiction therapy, our mission is to change that paradigm. Our luxury rehab limits intake to 8 clients at any one time, enabling us to provide guests with uniquely tailored programs & unparalleled focus, coupled with absolute privacy and discretion. Our 24-hour support team and in-house medical care conforms with the highest international standards. Our staff is overseen by established experts in detox & addiction rehabilitation, who are always available to assist our clients. Extensive research has gone into developing all facets of our drug and alcohol rehab programs. We utilize only the most effective treatment methods to ensure a successful recovery from the disease known as addiction. Live and breathe our values, thus offering inspiration to our clients. Provide world-class drug & alcohol rehab programs. Promote the message that life in recovery is to be enjoyed, not endured. Give back to the local community and the wider healthcare industry through training and shared resources. Our mission is to change the lives of addicts in our care by offering effective & affordable addiction treatment in a luxurious resort style retreat. We aim to dispel the myths and stigma surrounding addictive behaviour, spreading the message that life in recovery is to be enjoyed, not endured. Provide for our clients a non-shaming, non-blaming, therapeutic environment, where they can find purpose, value & meaning, in a life free from substances. Education is our most valuable tool. We do not blame or shame. We respect and uphold privacy. but to find a deeper self and learn how to truly enjoy an alcohol and drug free life in luxury surroundings. While in drug or alcohol rehab at Sivana Bali, our philosophy is that one should learn to enjoy your life once more. Our program views recreation as having as much therapeutic value as group or individual counselling. We utilize tools from several psychological approaches, integrated with a strong component of education. Our intensive rehab programs are designed to equip clients with a variety of practical life skills and education in order to establish and maintain a clean and sober lifestyle. Our Streetwise Program ensures a positive and accessible support network, furthering emotional awareness, independence and work readiness. Our drug and alcohol rehabilitation models are based on a holistic & multi-disciplinary approach. A majority of our qualified rehabilitation staff have first hand experience with active addiction. All of our addiction therapies are based on extensive research done by our clinical staff. A Recovery Coach and Psychologist will be hand selected for you based on your initial assessment. A safe & therapeutic environment with luxurious accommodations & fully catered nutritious meals. Contact Us Today to find out how Sivana Bali can help break the chains of addiction & make the journey to recovery a truly meaningful one.